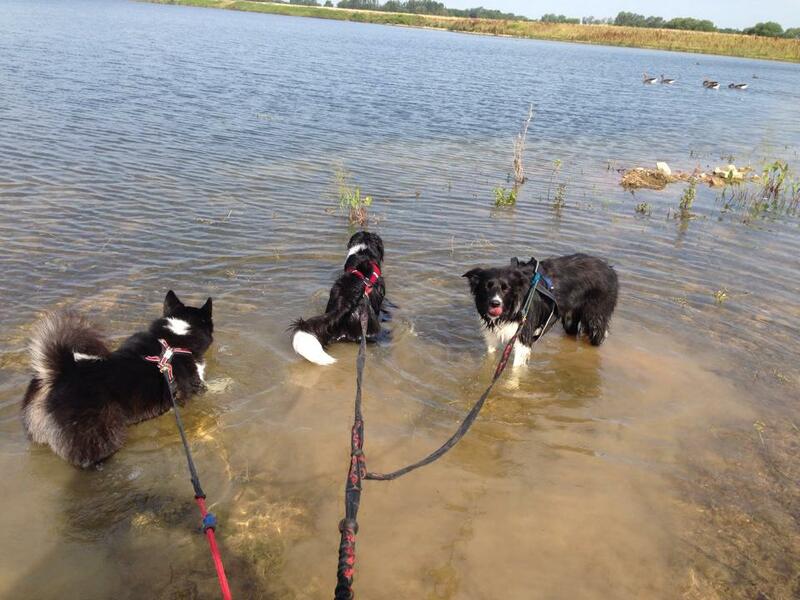 I’ve never felt the need to write a blog before on if it’s too hot to run with your dogs. I’ve often written about it being a factor you have to consider very seriously when canicrossing in the summer months, but I actually feel the need to write a little bit more about it considering this long spell of exceptionally warm weather we are having. 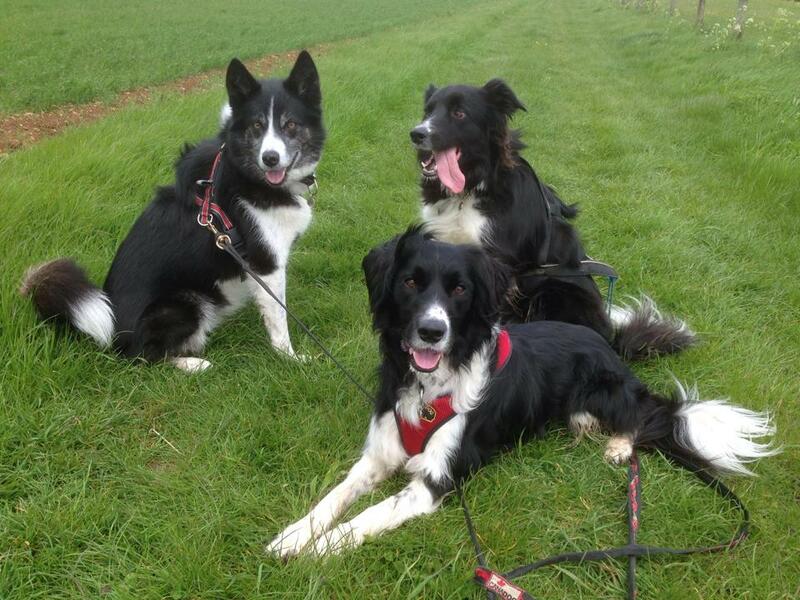 Many people talk about not running dogs in the summer months and I agree that you should be very, very careful about this but have always advocated using common sense and knowledge of your own dogs limits to guide you. I stick to very early morning runs (pre 6.30 am) I take water with me everywhere, even if it’s only 1.5 miles or 2 miles and I watch my dogs like a hawk, looking for signs over over-heating. I’m going to stress at this point just how dangerous over-heating is in our canine friends, they do not always know what is best for them, they will try to please you by carrying on, some might not even show many visible outward signs of being too warm and it is your responsibility to decide if, when and how far you will exercise your dog. It is also not always widely known how much of an impact the humidity has on dogs. Dogs can’t sweat and have to lose heat primarily through panting , humidity has the effect of making our dogs cooling systems less efficient and is extremely dangerous when combined with higher temperatures. There are many temperature x humidity formulas you can look up to help guide you but I prefer not to use these and go with my knowledge of my dogs, rather than a figure which may not be appropriate and take any risks. The main signs of over heating are as follows: restlessness, seeking out cool areas/shade, looking to lie down, excessive panting, excess salivation and thick sticky saliva. Also look for glazed eyes, red or very pale pink (rather than healthy pink) gums, stiffness in movement which can lead to staggering and any anxiety or agitation. There is also an increase in core body temperature and increase in heart rate , although if you were exercising your dog you may not be able to monitor this. Other factors which influence how the heat may affect your dog are your dogs fitness, the breed, the type of coat your dog has (double coated dogs can get extremely uncomfortable in the heat) and if your dog is overweight at all. 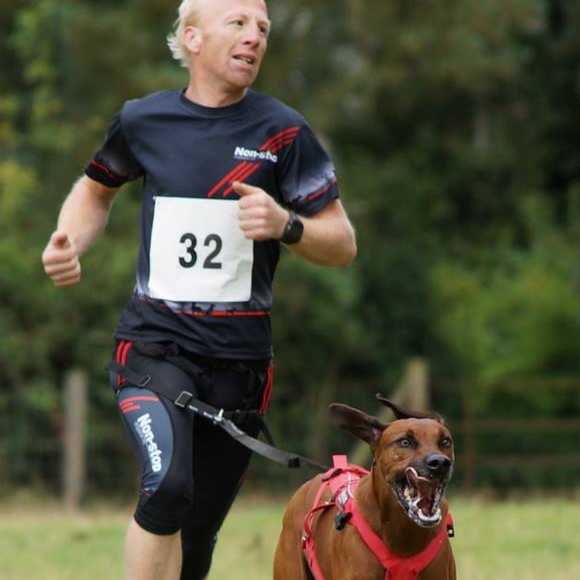 If you are in any doubt about the suitability of the weather for running your dog, even if others are running theirs, please do not be tempted to risk it as there have been too many tragic stories already this summer about dogs collapsing and the owners being heartbroken. If in ANY doubt, do not risk your dog. Always put your dogs’ health first in the summer months, in the UK we have plenty of cool weather for running our dogs in, so why risk it?! I wanted to write another blog trying to keep it a bit more general, about our progress so far with the treatment of Addisons Disease in our dog Donnie. As many of you know Donnie (my main bikejor partner) was diagnosed in early April with Addisons Disease which threatened to turn our world on it’s head. Addisons is a life long condition which will always need medication and so in the last 3 months I have been trying to find out as much as I can about the disease and what will give Donnie the best chance of a healthy, happy life. What I have discovered as part of my research may interest a number of dog owners, not just those with health-compromised dogs. Many people may already know a lot of this too but it is always worth reminding people. Medication: this is more specific to Donnie so I won’t focus on it but unlike I had thought, Nick was very relaxed about the use of conventional drugs and supported them in many cases. 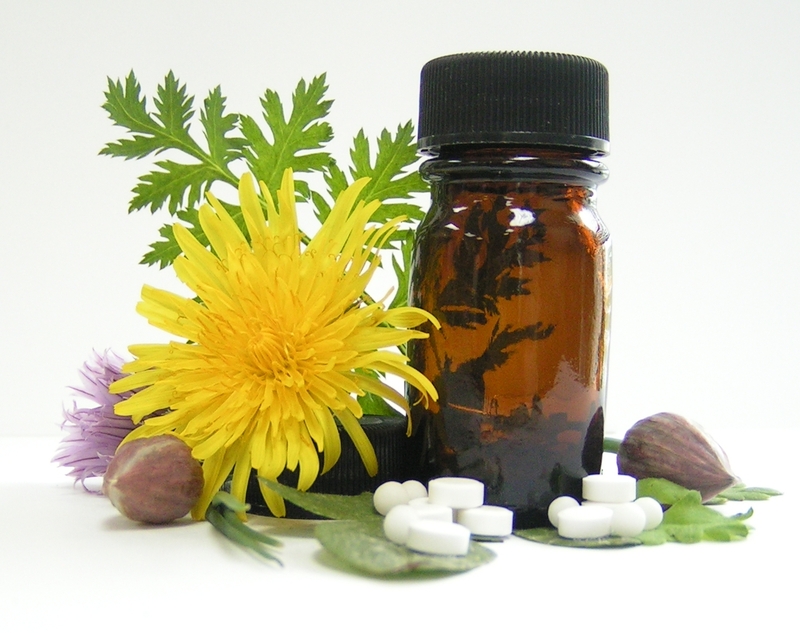 The homeopathic approach he takes, is only when it is safe to use, alongside administration of regular prescription drugs and therefore his recommendations were designed to support Donnies’ current programme of drugs. Diet: I was pleased to find the diet I had chosen for my dogs was a good one (I feed CSJ kibble mixed with meat) and we discussed the possibility of moving all the dogs onto something more natural (such as a raw diet). Nick had many suggestions for how to go about this in a way which suited me (I cannot bring myself to butcher up carcasses, it’s just not something I think I’d be able to manage on a regular basis, it’s a personal thing) and I think I have discovered a new product to the UK which is perfect for us to make the switch to a raw diet. I could discuss this a lot more but I’m trying to keep it brief. There are many arguments for and against raw diets, I have seen dogs thrive on both but one thing I am in agreement with, is that trying to keep any diet (human or dog) as natural and as unprocessed as possible, can only be a good thing. 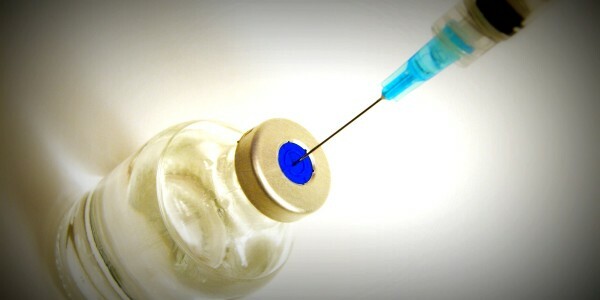 Vaccinations: This is something I have had a personal battle with for a long time and again I want to keep it brief but because I believe that to protect my dogs from as much as possible, we need to vaccinate, I have always vaccinated them as recommended by the vets (ultimately the vaccine manufacturers dictate this advice, much in the same way the food manufacturers often dictate the veterinary advice given on diet). I have educated myself in the reasons why you might not want to vaccinate as recommended and now I find myself with a dog who ‘may’ have an adverse reaction as his risk is certainly higher now due to the Addisons Disease. The conclusion I have come to is that I will now be getting my dogs tested for their immunity before blanket vaccinating them and although this may end up costing me more, I feel it will be worth it. I also want to point out here that you must check with your insurance company the implications of not vaccinating as recommended by the vets. Worming: Again I have always taken the approach that I would rather have my dogs wormed than risk the damage caused by not worming, however I have chosen my own timescale for worming and not blindly followed the manufacturers’ recommendations. I have always thought it would be good to do for dogs, what I have done in the past with horses, send off a sample for worm counting. Happily I have now found a company recommended by Nick who will do this: http://www.wormcount.com and in future I will be collecting little samples for testing before I worm my dogs using the regular methods. Travel: I was quite unsure about what Donnies’ illness would mean in terms of travel as we do a lot of events all over the country and I was hoping to be able to take him abroad later this year. The dogs all have their passports and are ready to go but I have to think about the amount of stress the journeys would put on them, especially Donnie. 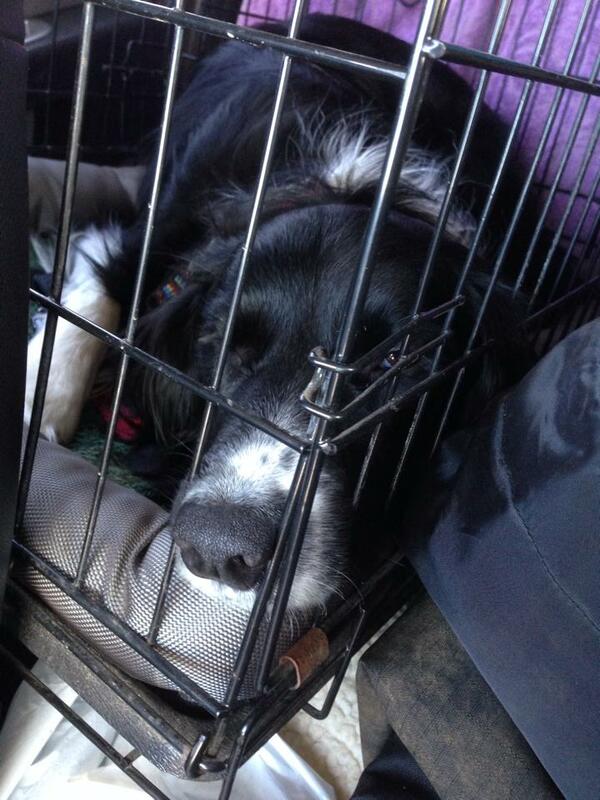 Long car journeys may seem like a doddle but in actual fact dogs can find being moved to unfamiliar surroundings very stressful. I’ve found a good article on stress in dogs here: http://www.whole-dog-journal.com/issues/3_1/features/Easing-Your-Dogs-Stress_5031-1.html and on reading it, I really feel I need consider what is best for my dogs in terms of how much travel we undertake within a year. It would be quite selfish of me to make a decision based purely on what I wanted to do and not take into account how it will affect Donnie now. For that reason, any European travel plans have been put on hold. Exercise: Now this was my main concern with the Addisons – how much exercise could Donnie now do on a daily basis? After his initial diagnosis and having been told to keep him calm, I tried to lead walk him but it actually stressed him out more because it wasn’t his usual daily routine. I gradually began to get him canicrossing again as soon as the medication kicked in and his blood results showed he was stabilised. Getting back to his normal routine has meant he has shown remarkable progress in a short space of time. Nick Thompson was very complimentary about how well Donnie is doing and I’m sure it’s because we are just trying to keep his life as normal as possible for him and not withdraw him from the active lifestyle he is used to. However, it was like beginning again, taking him out for a mile, then increasing the distance by about a quarter of a mile at a time until now, when we’re back up to about 5 miles. I have to say I have enjoyed this time with him, although it has been worrying waiting to see if any of the increase in activity would be too much. I have not pushed him at all and he hasn’t once shown signs of being adversely affected by the canicrossing. In fact I have to keep telling myself that he is allowed to get tired!!! There is a lot to be said for routines in keeping dogs happy, healthy and balanced in their minds and I feel the canicrossing has helped Donnie get back to being his usual self much quicker than if I had been too cautious and kept him rested. It is also a good indication for me of how he is feeling, as I know he will always be the first by the door to leave, as long as he is well. I sometimes forget Donnie is allowed to get tired and it’s not a sign of his illness, it’s normal! The future: So in conclusion with a few changes to diet, vaccinations and worming we will probably be able to do the majority of what we were doing before with Donnie. There are a few exceptions to this, as I have mentioned about the travel and I may well decide to cut this down, particularly for European travel where I may not have the same control over the situation as in the UK. I also haven’t really ‘tested the water’ yet as to how he will respond to bikejoring again. The bike brings an additional level of excitement (and therefore stress) for Donnie, but I feel that properly managed, we will be able to get him back into it and it will be a case of baby steps again to make sure this is done at a pace suitable for him. I’m looking forward to the cooler weather now and what the 2014/2015 season might bring. 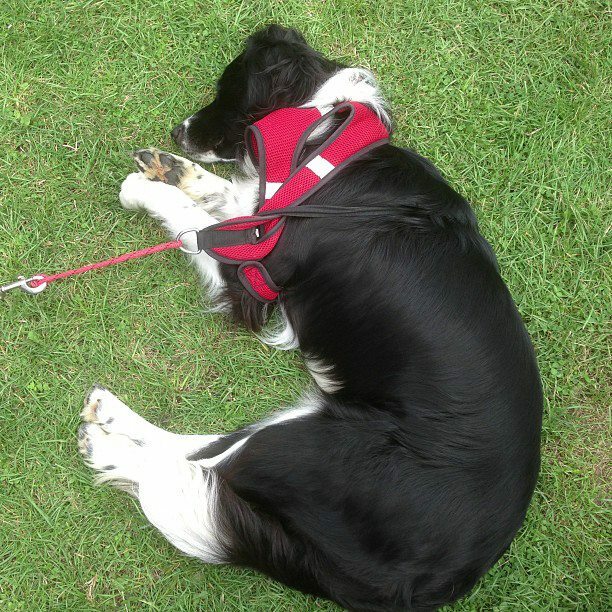 I thought I’d write this blog to help those who struggle with measuring for a new harness for their dog. Measuring your dog might sound easy, but the reality is that many manufacturers use different measurements to make themselves unique and dogs will inevitably move around a lot when you are trying to take measurements, making it hard for you to get it accurate. 1 – Get a soft tape measure or long piece of string, there is no point trying to fold a more rigid tape measure around your dog in the hope you will be able to guess correctly. 2 – Measure at least 3 times on different occasions, this will ensure you get a true picture of the measurements and allow you to pick an average if all your measurements are different. 3 – Get someone to help you keep your dog as still as possible, you might want to do this using bribes or just having an extra pair of hands to keep your dog in a standing position will make your life easier. Neck: This is the most important bit and the measurement people get the most wrong! For Non-stop, Howling Dog Alaska, Zima, Manmat and in fact most other harnesses, except the Zero DC harnesses, the measurement you need is from the breast bone on the front of the dog to the back of the neck, before the shoulder blades. This is the trickiest measurement to get right and so I recommend measuring one side of the neck and doubling it, as getting a tape to curve around and stay in place is nearly impossible. 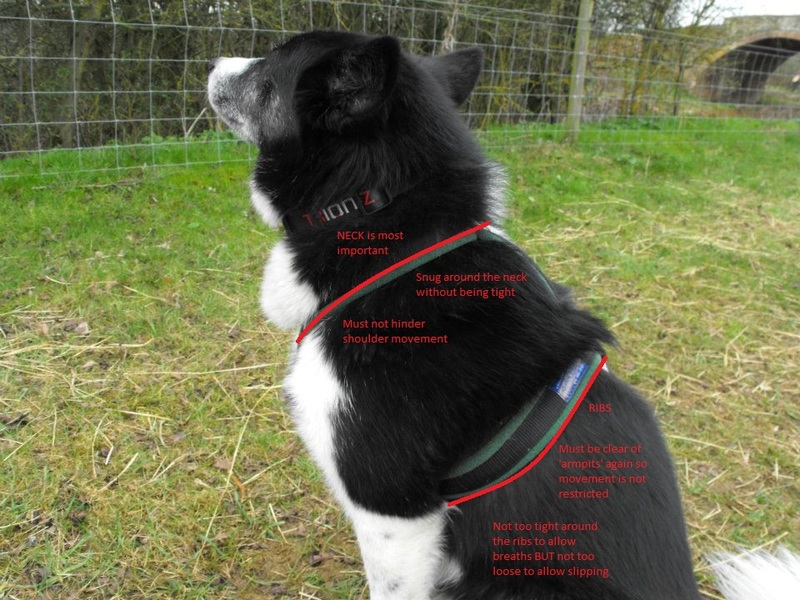 For the Zero DC harnesses, the measurement you need is the collar measurement and this should be easier to obtain than the breastbone to shoulders, as the collar area is smaller and you can even measure your dogs’ collar to get the fit. 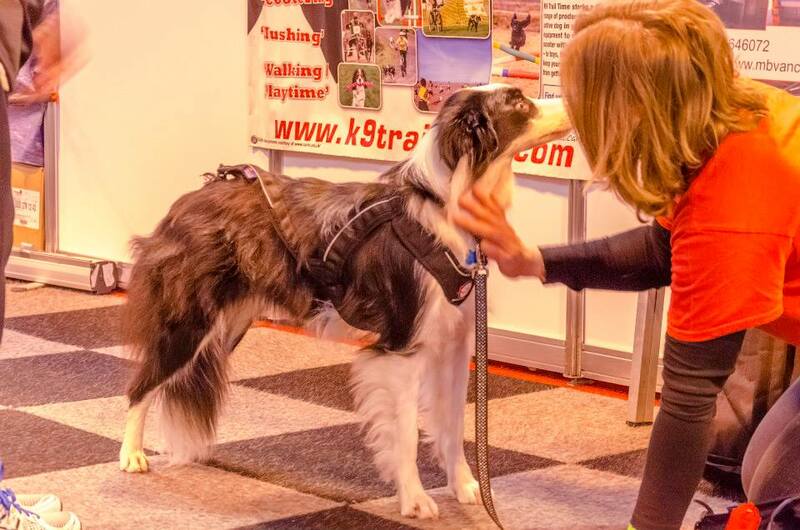 The other thing you may have to consider is if your dog has a particularly large head or broad shoulders then this will affect the size of harness you need and this is why the neck measurement is the most important one to get correct. Ribs: In my opinion the easiest measurement to get, measure just behind the front legs of your dog at the widest part of the chest. Pull the tape snug but not digging in and make sure there is enough flex in the tape to accommodate the movement of the ribs when taking deep breaths. 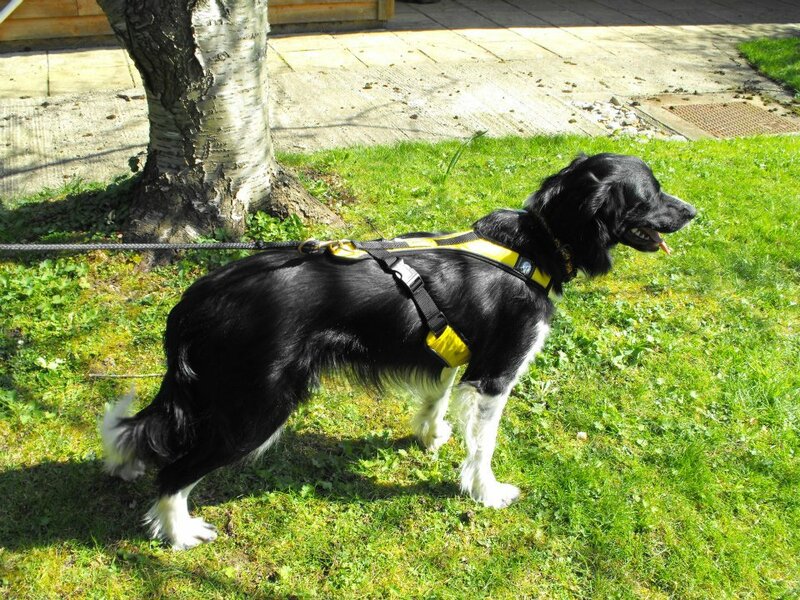 Length: This is usually the distance from the shoulder blades to base of tail, it can be easy to measure if your dog stands straight as in the picture above, or difficult if your dog wriggles around, as the tape needs to be as straight as possible to get the correct length! This distance is where you would expect the harness to sit behind the neck and if a long design, where the harness should ideally end. 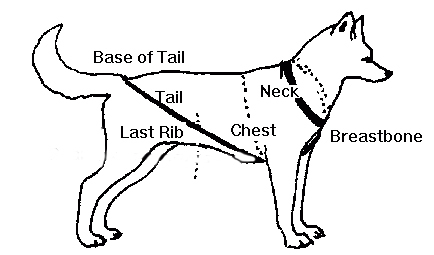 There is another length measurement generally used for x-backs which runs from the breastbone, through the front legs and then up the side of the dog to the base of the tail. The only harness we sell which this applies to is the Zima x-backs. 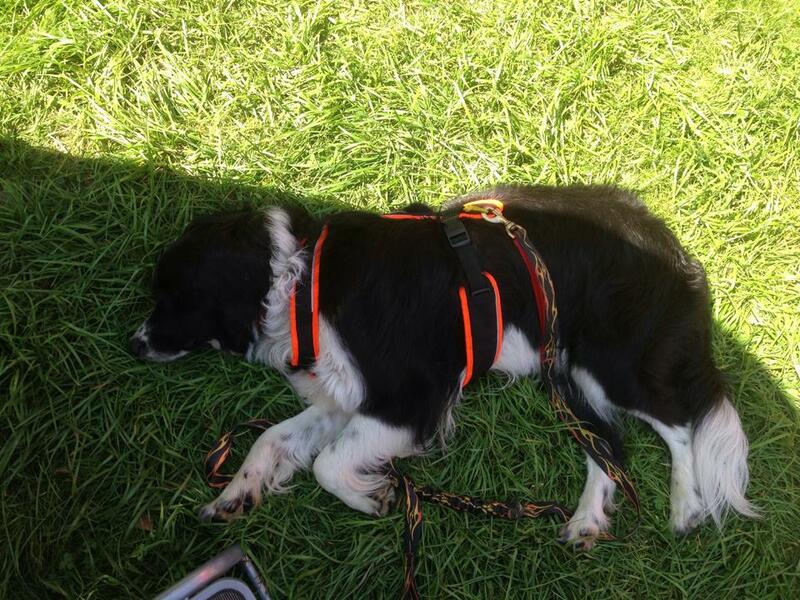 This picture shows the measurement along the side of the dog for length in an x-back harness. Other measurements: The Non-stop Freemotion and Nansen Nome harnesses refer to a front strap measurement for their size guides. This is taken again from the breastbone to just behind the dogs’ front legs where the harness would sit on the dog and Non-stop recommend if your dog is particularly deep chested then you should go up a harness size based on this measurement. Weight: Very often a weight is given as a guide too, this just gives an indication of the size and can be helpful if you’re struggling with the measurements, as most people can get an accurate weight from their dog at the vets or dog groomers. 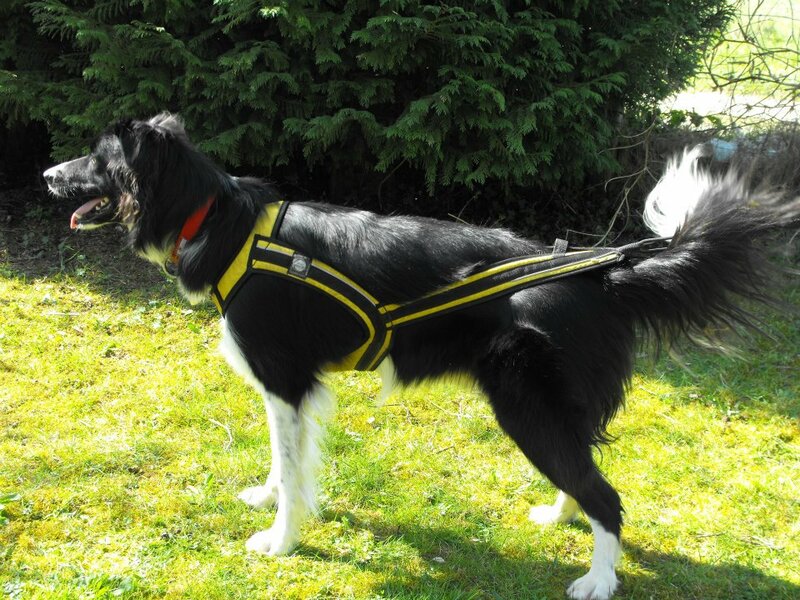 Coat, if your dog has a double layer coat then the size and shape of your dog may change through the seasons and this will affect how the harness will fit. You might find you measure in winter and your dog is a whole harness size larger than in the summer, when the under coat has been shed. Judo is a fairly standard size but even he doesn’t quite match the size guides for some harnesses! Howling Dog Alaska Tough Skin – Medium: Neck 19.5-20 inches (50 – 59 lbs.) All this would say it was too big but the small is too snug!